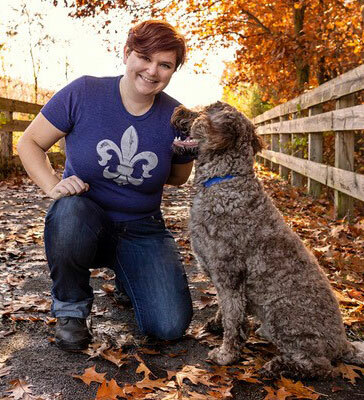 Jill Haley Rose, CTC, CPDT-KA, has the experience to help you and your dog grow better, together. 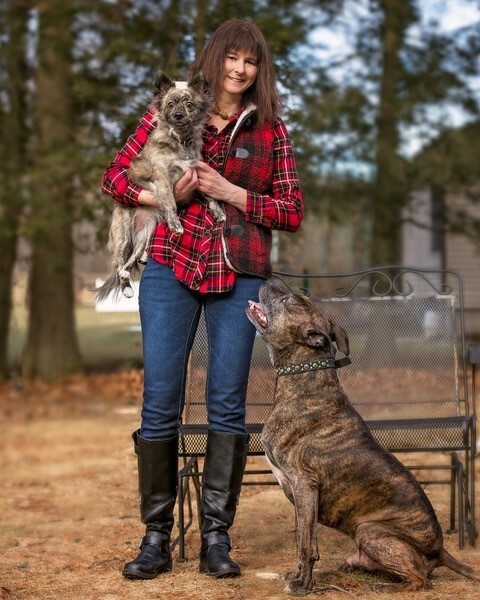 Jill Haley Rose, a nationally certified professional dog trainer, has been working as a full time professional dog trainer and behavior consultant for the past sixteen years. Jill is a graduate of the Academy for Dog Trainers out of the San Francisco SPCA where she also completed an internship on dog to dog aggression, with honors. She is a professional member of the Association for Professional Dog Trainers, a licensed Dogs & Storks presenter through Family Paws Parent Education, and a regular guest dog training expert for the local morning TV show Mass Appeal. 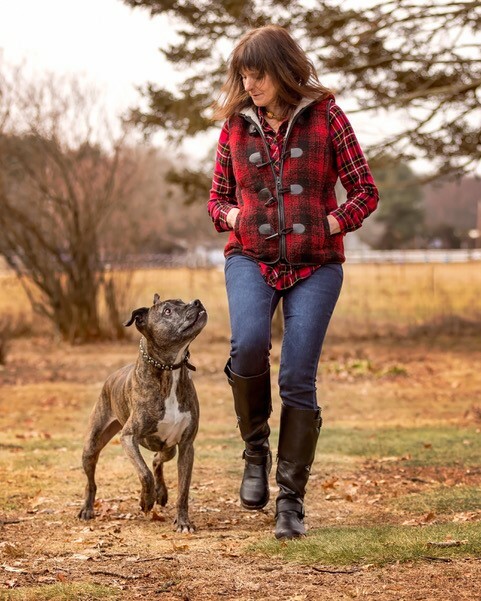 She ran her own dog training and behavior consulting business, Paws of Nature, in San Francisco, CA and most recently out of Westfield, MA and has worked with thousands of clients doing private instruction and in-home behavioral consultations. From 2010 to 2015 she was the Training Programs Coordinator and canine behavior specialist for the Dakin Humane Society in Springfield, MA. Jill was in charge of designing, organizing, and running Dakin’s dog training classes and behavior workshops held in three locations in Western, MA. She also has done temperament and behavior evaluations on thousands of dogs for Dakin Humane Society, worked with countless adopters post adoption to resolve behavioral challenges, and has instructed hundreds of group dog training classes and workshops for Dakin Humane Society. Jill receives most of her new client referrals from veterinarians, humane societies and shelters, animal control officers, animal rescue organizations, pet sitters & dog walkers, dog groomers, other dog training professionals, as well as her own current base of happy and satisfied clients. Jill continues to expand her expertise in training & behavior by participating in educational seminars and workshops held throughout the United States by recognized leaders in the animal training and behavior field. Jill will be working towards attaining her 3rd dog training certification in 2019. 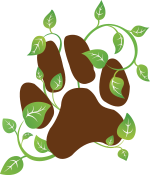 E-mail Jill or call 413-642-5442 to discuss how Paws of Nature Family Dog Training & Behavior Consulting can help you and your dog grow better, together. Ashley Loehn working with "Muddy"
Ashley Loehn has been involved in the animal care and welfare field for most of her life. Ashley started in a volunteer animal care position for the Dakin Humane Society in Springfield, MA and eventually took a staff position as an Adoption Counselor. Some of her many responsibilities included; assisting the behavior department in canine and feline behavior evaluations, working with fearful and sometimes aggressive animals, counseling clients in finding the right animal for their family and lifestyle, assisting with medical needs and care for a wide variety of animal species, and counseling clients who may need to surrender their animal due to a financial or personal hardship. After 8 years on the job, Ashley assumed the role as a senior Adoption Counselor and was in charge of training all new adoption counselors into the position at Dakin Humane Society. In January 2018 Ashley was hired as an Assistant Trainer/ Dog & Cat Handling Specialist for Paws of Nature Family Dog Training. Ashley has been working as a full time apprentice with Jill Haley Rose and has accrued hundreds of hours training many different breeds of dogs with various behavioral and training needs. She is currently studying and taking online courses to expand her knowledge in the areas of animal learning theory, ethology, canine and feline husbandry, reinforcement schedules, canine and feline body language, and more. Ashley will be applying for her Certification as a Professional Dog Trainer exam in the spring of 2019. Ashley’s other interests include horsemanship. She has worked with therapeutic riding horses, enabling people of all ages and abilities to experience the life changing friendship of an animal relationship.